We are super excited to announce several Bird’s Robe acts joining the massive Adelaide Festival lineup for 2015! …and the return to Australia of orchestral art rock group The Red Paintings. By the time they return to Australia to open Adelaide Festival alongside Scottish icons Mogwai, The Red Paintings will have played over 150 shows across North America, the UK and Europe in support of their stunning debut ‘The Revolution Is Never Coming.’ Their string-infused alternative rock is coupled with live on-stage performance art and body painting which has captured the imagination of thousands of art fans around the world. 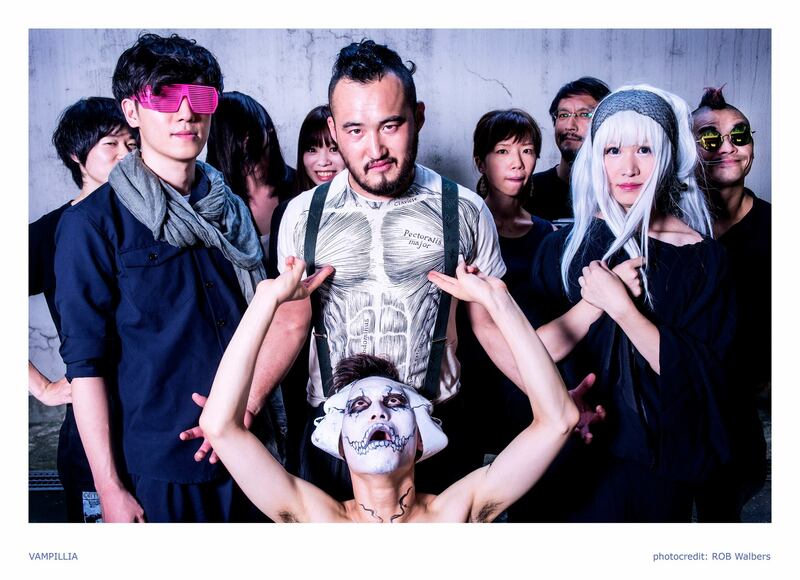 No band has been more requested for a return since their sold out Australian tour of 2010 than Japan’s Vampillia. This incredible collective can’t be described in words, you just need to watch this video. They are joined by Melbourne instrumentalists Fourteen Nights At Sea and a special acoustic set by The Red Paintings’ Trash McSweeney & Alix Kol. English post-rock legends 65daysofstatic return to Australia for the first time in 2 years, including their first ever performance in Adelaide. The influential group have played countless shows around the world, collaborated and toured with The Cure and are completely unstoppable live. Copyright © 2014 Spidr Pty Ltd. All rights reserved.